Finding something you dropped on the floor or making sure the boxed milk in your refrigerator is not past its due date might be challenging if you are visually impaired or completely blind. But an app that has become available in Malta is making it a little bit easier for people with visual difficulties as they can now ask someone to help them out with the click of a button. 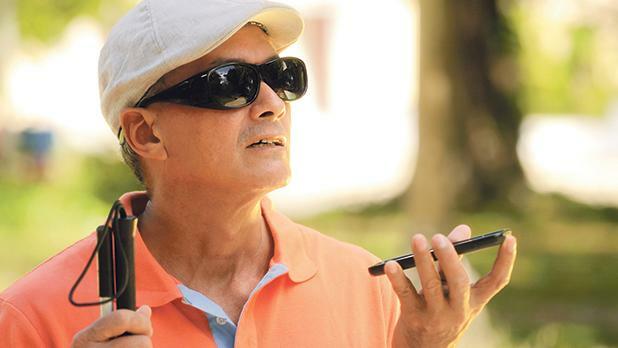 For blind user Anthony Borg, the best thing about the app is that volunteers can help out from wherever they are. The Be My Eyes app works similarly to the telecare system, with users downloading the app on their smartphone. If a blind user needs help to decipher the colour of a shirt or understand whether they are holding a five or a €50 note, they just press a button on their phone. A volunteer, matched by language and time zone, will contact them to help out via video conferencing and the exchange can be anonymous. This is especially helpful for blind people who live on their own. When one signed up one could now choose whether the primary language was Maltese, Mr Borg noted. The nearly two million volunteers worldwide who signed up to the Be My Eyes app speak more than 180 languages. Mr Borg first heard about the app from his colleagues who live abroad. After seeing how it worked, he contacted the people behind Be My Eyes and they showed interest in expanding it to other countries, including Malta. So far, 30 blind or low-vision users and 388 volunteers from Malta have signed up. A Maltese volunteer urged readers to start using the app because it felt great to be of use to someone sometime. “Given the fact that the global ratio of seeing people to that of the blind is so huge and also considering that the technology is already there, I think no blind person should ever find him/herself in a situation where they can’t ‘borrow’ someone’s eyes if only for a minute or two,” he said. “The app gives seeing users an opportunity to help make someone’s day better with very little effort. I understand how selfish this statement sounds, however, it’s what I believe to be the truth,” the volunteer said. The app can be downloaded for free from the App store or Google Play.